Already a brand ambassador for the innovative, quality equipment manufacturer SM Cricket, this further extension highlights an on-going commitment by Heather to continue to develop women’s cricket. Since her stunning debut in Women’s cricket in 2010, she has proved an inspirational and popular leader and continues to be a great role model for the sport. The range continues to be marketed under the following brand – the Heather Knight Cricket Collection and includes HK Exclusive, KH149, HK111 and HK5, consisting of 4 Bats, 4 Batting leg-guards, 4 x Batting gloves, 4 x Kit bags, 1 x Wicket keeping pads and 1 x Wicket keeping gloves. As we continue to develop the range, the appeal of the gear is fast spreading outside of the Women’s game. Ian Anderson, Managing Director of SM Cricket UK (SM) said: “We are very excited about this range of cricket gear for women that Heather has been involved with from the very start. 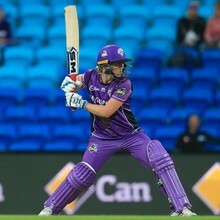 We have a growing presence in the women’s game, and the Heather Knight Cricket Collection will allow us to continue our strategy of promoting cricket across all levels and to make quality equipment accessible to all.” We are thrilled to be able to extend our agreement with Heather for another three years and look forward to working with her during the year, around her many International commitments. “I have had the pleasure of working with SM for the last four years and am absolutely delighted to extend this partnership by a further three years. I have always found the SM kit to be absolutely brilliant, so when I was approached by Ian from SM Cricket UK to help develop a range of cricket gear for women, I jumped at the chance. I am very proud to continue to put my name to this quality range designed especially for women by a women’s cricketer, and I look forward to developing the range further,” said Heather.